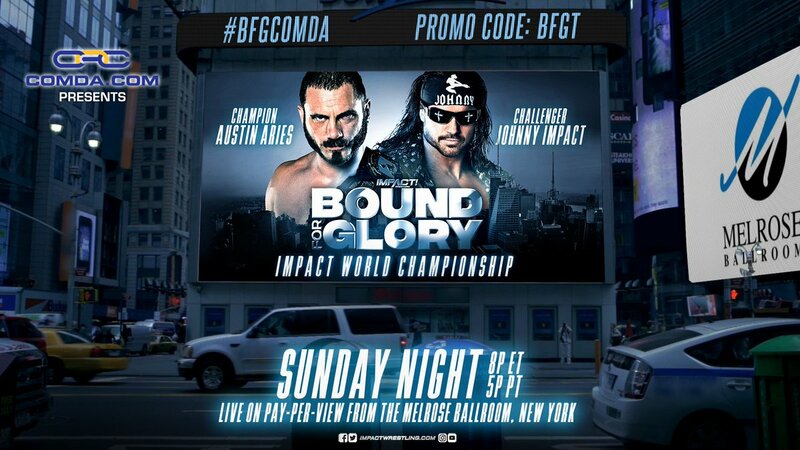 Impact Wrestling returns to pay-per-view for the third time this year on Sunday with Bound for Glory. The event takes place in New York’s Melrose Ballroom, marking the promotion’s first to the Big Apple in over three years. 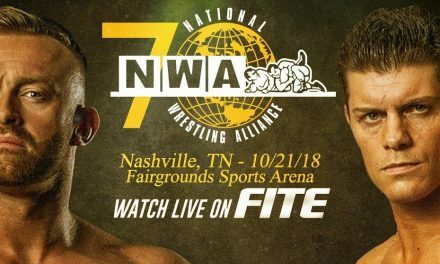 Prior to the big show itself, Abyss will rightfully be inducted into the Hall of Fame, setting the stage for what should be a fantastic evening of wrestling. Following up the home run of Slammiversary was always going to be difficult. Some moving parts haven’t landed, some have. That’s the way things go sometimes. Austin Aries still stands atop the mountain as World Champion, now flanked by Killer Kross and Moose. Aries defends his belt against Johnny Impact in one of only two title matches on the card, with the other involving Impact’s wife Taya Valkyrie, who challenges Tessa Blanchard for the Knockouts Championship. 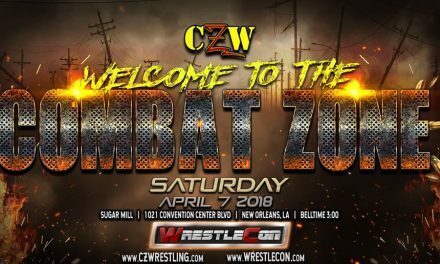 The main event is almost certain to be LAX and Konnan against The OGz in a Concrete Jungle Death Match, providing a fitting end for the best feud in North America this year. 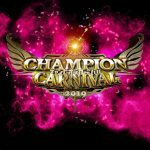 Aside from that, you’ve got some interesting stuff including an Eli Drake open challenge, Allie going into the shadow realm to battle Su Yung and Willie Mack making his official Impact debut alongside Rich Swann as they battle Matt Sydal and Ethan Page. Despite the poor TV ratings, Impact is still doing well and I’m proud once again to be joined by two other previewers – Kelly Harrass and Suit Williams. Let’s go! Kelly Harrass: You might be wondering what Kelly is doing here. Normally you find him reviewing WWE shows, but he decided to actually preview something he’s excited about for once. Rest assured, Kelly really does like quite a few things and you can see him talk about those things over on Twitter @comicgeekelly. Suit Williams: Hey, a decent card! Suit is here to rep for Impact like he always has, unless you count the Destination America year. 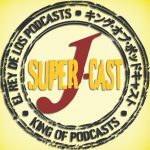 Follow him on Twitter, @SuitWilliams, and listen to him rep for 205 Live on the Smark Sports podcast. Andrew Sinclair: Voices of Wrestling’s regular Impact columnist, Andrew is decidedly on the fence for this card. You can follow him on Twitter at @AMSinclair97. All filler, no thriller. 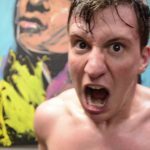 Andrew Sinclair: This is actually one of my most anticipated matches on the show. I like the work of all four guys and I expect them to mesh very well here. Sydal’s ‘third eye’ gimmick has been excellent, as it’s the sort of thing that would wind up other roster members, and I like they’ve brought Ethan Page back to the company as his partner – any man that threatens to kick another’s brown eye on national television is a certified star. That said, I’m slightly annoyed. I mean, canon matters guys, so where’s the Chandler Park references? Andrew Sinclair: The new regime in Impact have done a lot of good. The booking has been consistent, there’ve been little to no screwy finishes and mostly everything has paid off. This match though doesn’t fit that bill. 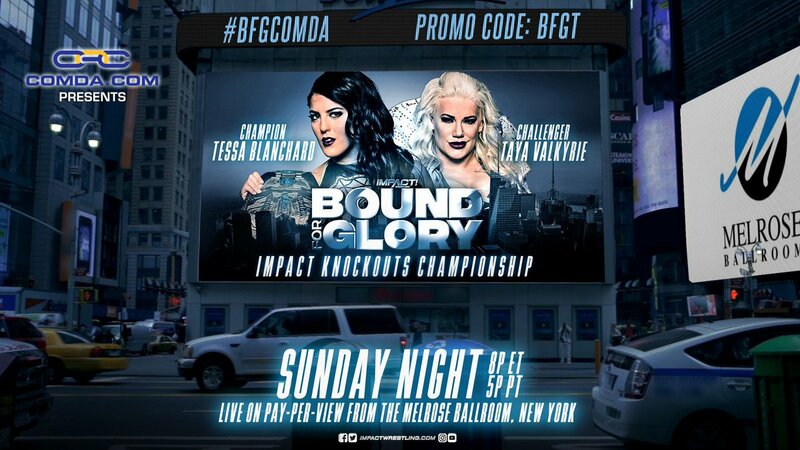 Taya had not appeared on Impact television in approximately three months when she popped up a few weeks ago to challenge Tessa. There was no sense of the opportunity being earned, especially as three of Taya’s last four matches ended in defeat. 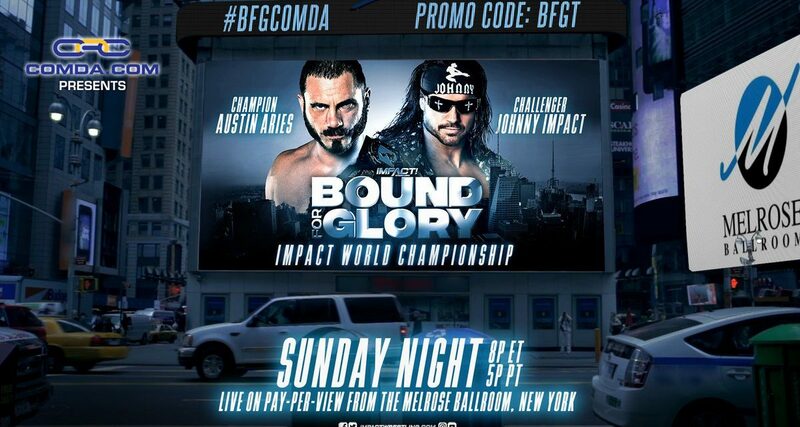 Surprisingly, they’ve not played up the fact that Johnny Impact and Taya, now husband and wife, could leave BFG holding both world titles. That’s almost certainly because this is going to be a routine defence for Tessa over a big name, hopefully leading her into a feud with Allie or Rosemary following this event, or a more logical and developed one with Taya. Prediction: Tessa Blanchard. Kelly Harrass: I don’t know if this is a hot take, but both of these guys have had a great 2018. Moose impressed me a ton back in March when he and Keith Lee had one hell of a match in AAW. Then Moose and Austin Aries capped off Slammiversary (which is still my favorite North American show of the year) with a fittingly awesome title match. Now Moose has allied himself with the champion and has become the biggest douche imaginable. Meanwhile, Eddie Edwards got hit in the face with a baseball bat, but then found himself in the middle of one of the most talked about feuds of the year with Sami Callihan. Then he immediately transitioned into one of the most interesting feuds of the year with Tommy Dreamer where Dreamer was essentially fighting himself from the past. Since then Edwards has settled into his role as crazy guy with a kendo stick. 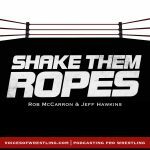 Andrew Sinclair: I said back in the Slammiversary preview that Moose losing the world title match gave them more booking possibilities and by gosh has that been proved correct. Moose Money has breathed new life into the former NFL player’s career and he’s as interesting as he’s ever been in the company. His fashion sense is outrageous and annoying and he’s been very easy to boo. Andrew Sinclair: My biggest question here – what are OvE rules? My guess is that it’s either a tornado-style six-man or just a No DQ spotfest – either way it’ll be the sort of environment all six men thrive in. 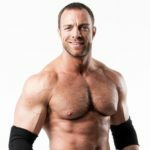 Andrew Sinclair: Much like the title opportunity afforded to his wife on this show, Johnny Impact being the top challenger sort of came out of nowhere. 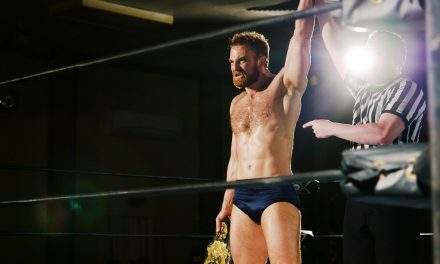 He’s a recognisable name and he put on a banger against Aries earlier in the year at Crossroads, but I would have liked a longer-term story between these two. That said, I’m still hyped for this and that’s a testament to the work of both men. Aries’ promos have been terrific, as is to be expected because he is the best champion in wrestling right now, but Impact has stepped up too with some fun tag team performances and getting a rise out of Aries in their twitter exchanges. 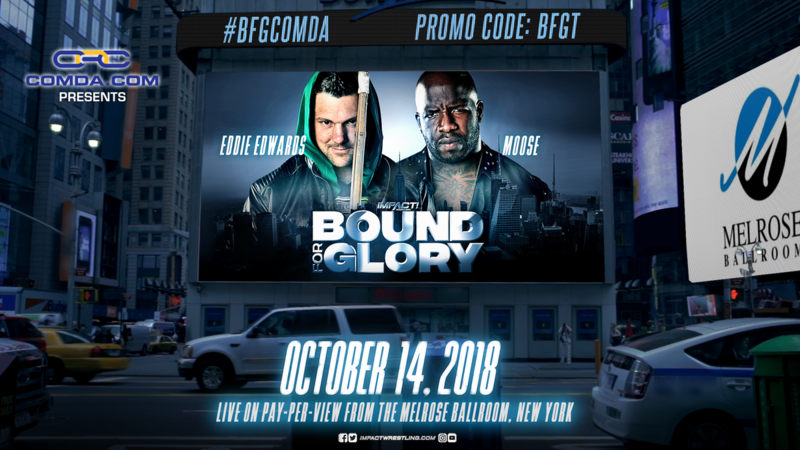 Suit Williams: When you put Eddie Kingston on your TV, good things happen. Putting him against Konnan to go head-to-head on the mic has resulted in absolute gold. Bringing him in with the original LAX to feud with the new version of the team in a Midnight Express special was a great call. And then the fights these teams have had have been wars, to say the least. This is my feud of the year by a country mile because this isn’t just guys fighting for a title. In fact, I’m not sure if the Impact Tag Titles are on the line. But it doesn’t matter in this feud. The titles are secondary, and in a rare occurrence, I’m absolutely fine with that. Andrew Sinclair: This is it. The end of the 2018’s best feud. These six men have brought a gangland war to Impact screens and it’s been believable. It’s been gritty. It’s felt real. And now it will close out Impact’s biggest show of the year, as it should. 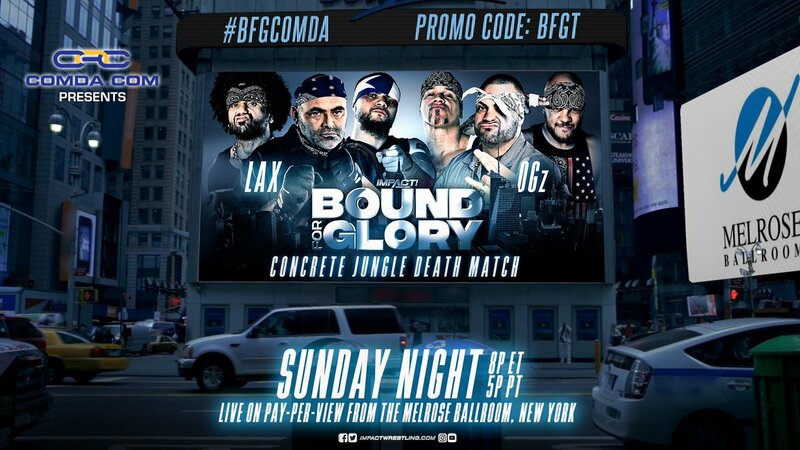 The two sides will square off in the company’s first-ever Concrete Jungle Death Match (more on that later) and LAX will be played out by New York rapper Bodega Bamz. This match will be made to feel like a big deal, as it damn well should be. 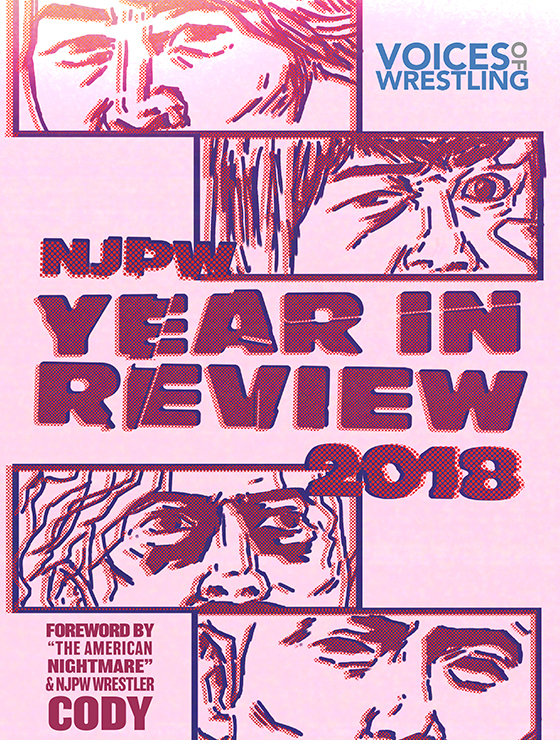 To my reckoning, this has been a career-defining bit of work by the LAX boys, who are my favourite tag team in the world right now, and demonstrable proof of just how good Konnan and Eddie Kingston are. This is a feud other companies will and probably have tried, but no one could it the way those two men have. The bad blood feels real, the promos have been excellent and they’ve got you hooked. Perhaps the thing I love most of this, and I may be in the minority, is the fact the tag team titles are nowhere to be seen. This isn’t a title match where the belts are a distant concern. No, they are gone because at the end of the day this feud has gone beyond that. This is a real blood feud, a real burning hatred, and the belts don’t matter. This is about justice. This is about prestige. This is about family. Now, the Concrete Jungle Death Match. It’s the first of that stipulation to take place in Impact and the rules are fairly simple. The teams will wrestle on the hard wooden base of the ring, with the turnbuckle pads taken away. There are no rules in this war, and it could only ever end like this. My only worry in this stipulation is how Konnan looks. The 53-year-old has obviously had his hip replacement (the catalyst for this masterpiece) earlier this year but hasn’t wrestled a tag team match like this in 5 years. Fun fact: The last time he wrestled in an Impact ring was back in 2006 alongside Homicide and Machete against Bob Armstrong and the James Gang. I don’t know how K-Dog will look, but as these teams showed at Slammiversary, they are creative and will make this a bloody mess.